The Wheatley Alumni Association Newsletter #28: January 20, 2019. Welcome to The Wheatley School Alumni Association Newsletter # 28. Thanks to our fabulous Webmaster, Keith Aufhauser (1963), you can regale yourself with the first twenty-seven newsletters (and other Wheatley data and arcana) at http://www.wheatleyalumni.org/ Conversely, if you are completely uninterested in Wheatley matters, please ask me to remove you from my distribution list. I edit all submissions, even material in quotes, for clarity and concision, without any indication thereof. I do not censor ideas, which may not be my own. Final Reminder – The Seventh Annual Wheatley School Alumni Association NYC Lunch – Monday, January 28, 2019 - 1:00 to 3:00 PM - Colbeh Restaurant, 32 West 39th Street, New York, NY 10018, 212-354-8181 – fifteen-or-less minute walk from Grand Central and Penn Stations - https://www.colbeh.com/locations/manhattan/ - Kosher Mediterranean and Persian Food (“amazing Persian food!”) - $60, payable at the event, check or cash, all inclusive –- “The Party Room,” comfortable and quiet - meet, greet, eat, relax - adjoining lounge with comfortable couches and our own little (cash) bar – our own spacious, well-appointed rest room on the floor –- vegetarian and meat dishes – not wheelchair accessible, 14 steps straight up (sorry) – RSVP ASAP, e-mail or 646-872-4833 – 35 people already (as of 1/20/19) signed up! – Don’t miss the social event of the season! Died several years ago. Leaves a brother, Larry (1971). Writes Gene – “Steve Ehre’s discussion of ‘the Princeton Plan’ in the last newsletter almost makes me glad I left the East Williston School District when I did. I attended North Side, Willets Road, and then Wheatley, with some time at St. Aidan and St. Mary’s. Most of my 1961 classmates also moved from one to the other as they advanced. Strangely, I remained Catholic the whole time; and I don’t believe any of my classmates ever converted – in any direction – then or since; certainly not because they changed schools. Diversity didn’t ‘come’ to those schools. Back then, it was ordinary and unobserved. The reading of Bible passages at the start of assembly periods at a public school delighted my parents when I told them about it. However, the practice went away because it upset some students, and the Principal caved. Our hall and gym lockers remained unlocked. Unannounced locker inspections by Mr. Wathey looked for cigarettes and matches. I remember only one 1961 classmate routinely chewing gum. He graduated with the Class of 1962 – perhaps not. Busing was only ‘a BIG part’ of getting us to and from school. Bless Larry Pierce and his squeaky-braked, teeth-rattling, magic carpets. Over the years, I’ve seen ‘Diversity’ become an industry in both the public and private sectors; trying unsuccessfully to replace leadership. And up until now, my only annoyance with the District was when, at some point, its offices replaced Wheatley’s Machine Shop, Mechanical Drawing, Art, and Home Economics classrooms. Glad I missed that, too. Writes Steve - “Mr. Razzetti apparently does not understand what this country was founded on…with separation of church and state a mainstay for the survival of both. Most Catholics, especially those of Irish and Italian descent, were received terribly in the United States…they were hated for being Catholic and accused of ‘Rum, Romanism, and Rebellion’ (1884)! IMHO, the ONLY wall we need built (or rebuilt) is the wall to separate the state from religion. Many people were rightfully upset about prayers before assemblies. But being upset pales in the face of the US Constitution and the Supreme Court of the United States, which declared such prayers as UNCONSTITUTIONAL!!! Nobody caved….the Constitution was followed…good idea for a school… right? BTW, prayer has NEVER been abolished from public schools…one is free to pray at any time as long as it does not disrupt normal school activities, and as long as the school does not sanction the prayer. Simple truth…and not fake news. Mr. Razzetti also does not understand what the Princeton Plan was designed to accomplish. His silly and inappropriate statement that he “remained Catholic” is wonderful news (and I am personally very happy for him) but has nothing to do with what the District was trying to accomplish. Nobody was trying to convert him or his friends or ANYONE to anything. Conversion therapy (sic) wasn’t really a term back then. Integration, whether by race or religion or by ethnicity, or socio-economic status is a desired aim of most morally aware people. Differences are to be celebrated and even encouraged, especially in schools. But we also, as a progressive multi-whatever society, must try to advance our understanding of each other’s lives and values. It makes us better people, and makes for a better school learning environment and laboratory for a better nation. What is taking place today, and has been happening for a while, is that we have lost sight of the basic values that always have united us as a country. This great nation is at grave risk and is going to fail if we don’t get back to agreeing on those underlying values, and to understand what it means to be an American. The Founding Fathers are turning in their graves at current events. PS: Most people will not remember (as most have passed), but Wheatley’s 9th Grade curriculum of World Cultures, with sections on comparative religions, was used as model for the whole state. Writes Richard – “In 1956 I attended the then-brand-new Wheatley School. Years later, in the Senior play, I portrayed a character named Veg. The play so mocked our teachers, in particular a female science teacher, that she left the school the next year. I’m not proud of that one, but it is part of the school’s history. The school banned senior plays after our performance. After graduating from Delaware University I was faced with either attending Kansas State University Veterinary School (my dream career) or following the love of country that in part was inspired by our history teacher, the one and only Mr. Stewart Doig. I chose the service, became a helicopter pilot, and served in Vietnam with the First Cav. Shot down twice, wounded twice and after months in hospitals, I was retired from the military. I ended up opening my own financial planning company, from which I retired over 14 years ago. I have never regretted my choice, and in fact would have regretted any other choice. I am proud that I served my country and would do it again in a heartbeat. But here is where the story has an unusual epitaph. Many, many years ago I wrote to Mr. Doig and thanked him for his inspiration and dedication to his craft, and for inspiring me to make the choice of serving my country. Trust me that it was a very emotional heartfelt letter thanking a teacher who made a difference in my life. Mr. Doig wrote me back, dismayed that he was in any way part of the reason that I served in Vietnam, in "that" war. This man I hold in such high regard taught me about the sacrifices that is such a part of our history. I wanted him to know that he inspired me to not only remember our history but to make the same sacrifice he so admired in our fore-fathers. But he was gravely disappointed by my choice to serve! I was looking for his approval and more, to let him know how I lived what he taught. But, alas, it was not to be. I still have the letter. Not sure why I keep it. This is just another example of the divisiveness and emotional toll that is and will always be Vietnam. Writes Mike – “Art: I have to rush to beat my obituary! Actually, it's not that bad, but I've been diagnosed with Ureteral Cancer, which apparently is not a good kind to have. My doctor says one to three years, 20% do better. My daughter, Heather, has stepped up to be my Medical Manager. A friend of hers has connected me with the top specialist in Ureteral Cancer at Sloan Kettering (or NYC? or the US? or the world?). She makes all the appointments, accompanies me to them, and asks all the questions. I'm finished with my first two rounds of chemo now. I feel no side effects from it, and in fact I don't think I would know anything was wrong with me were it not for all my doctors. I feel fine. I'm not at all depressed (except that my doctor has told me to cut back on cigars and Bourbon). I continue to work full-time. I like what I do and am well-paid to do it. I might be moving a few bucket list things ahead of some non-existent schedule. First up, I hope, will be to go to Duke to see the University of Virginia basketball game in January. After that I will be able to resume my monthly visits to Palm Beach, resuming alternation with sister Suzy (1967) to look in on our mother, who (despite failing memory and limited mobility) still lives by herself. Writes Steve – “I dropped out of St. John’s College (Annapolis) after Freshman year, then went back two years later and finished up, graduating in 1972. Moved to Portland (Maine) a year later with a group of college friends who had roots there. Waited tables and bartended in Portland’s Old Port area. Somehow, I had it in my head that I would be dead before I hit 30, and I lived my life accordingly. After turning 28 it began to look like this assumption about my longevity might prove incorrect, so I started making plans. Got a Master’s Degree in Public Administration from USC (Los Angeles) in 1979; moved to Washington, DC; and became a Presidential Management Intern (sounds fancier than it is). Hacked around various Federal agencies for ten years, including a wonderful four-year stint in the Peace Corps' headquarters, where many of the staff are returned Volunteers just back from their postings. In 1987 I took a job at FSLIC as an assistant to the Chief Financial Officer. FSLIC insured deposits in savings and loan institutions. In 1987 the FSLIC insurance fund was in the hole with a net worth of negative $7.5 billion: people were beginning to recognize the “savings and loan crisis.” Within two years the negative net worth of the insurance fund was around $250 billion (it wasn't my fault!). In response, Congress eliminated FSLIC, so I moved two blocks down the street to the FDIC (which insures deposits in banks) and worked there for 22 years. In 2012 I retired and moved just outside the DC beltway to Reston, VA. I haven't been back to Roslyn in many years. BTW, one of the last things I remember about you, Art, is being down in the subway near Columbia University in or about 1969 - we were going in opposite directions but on the same platform. After we said goodbye you jumped down right onto the tracks and walked across to the platform on the opposite side. I was beyond amazed. Still am. You can put that in the next newsletter if you like. Writes Jill – “Just a quick remembrance: Walking down the hall with Bob Forte (still married almost 50 years), holding hands, and Mr. Bentley saying, “break hands Mr. Forte and Miss Simon.” Hahaha, I really liked Mr. Bentley anyway…we named our first dog after him ðŸ˜€. Also, being called down to his office because my skirt was too short…rolled it down, then back up after I left him. 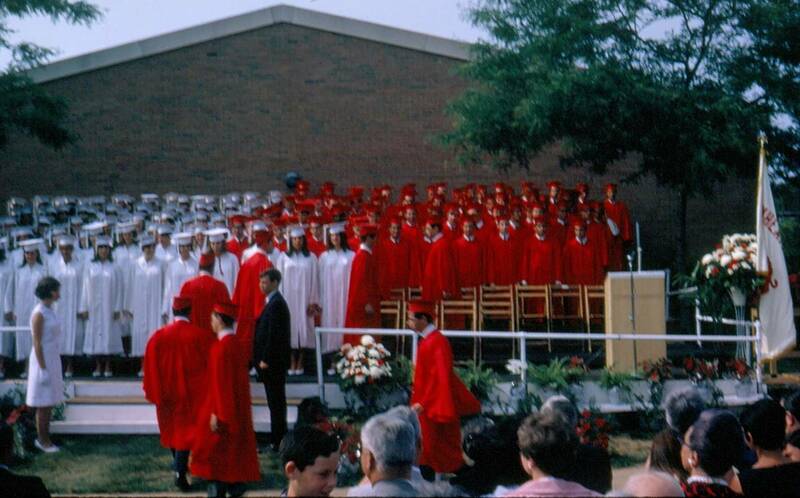 Writes Carl – “Arthur and fellow Wildcats....I read with great interest the comments made by Mr. Ehre (just not ready to call him Steven, even after 53 years)...I was in one of his first American History classes. Like many new teachers he learned the secrets of teaching and getting students to care about history. Quite a few students didn't care about early American history, ‘hadn't we studied this stuff back in grade school and then again in 7th grade’? Slowly Mr. Ehre made history seem to come more alive. Textbooks gradually gave way to discussions. Memorization slowly gave way to sharing of ideas. Some of us started to learn there was more than remembering dates. Now, I was lucky, I enjoyed history all my life. From reading it in junior high to post-college graduate programs. The outstanding Social Studies program at Wheatley is why I went on to become a high school social studies teacher myself. Writes classmate Michael Solow – “I am sad to report that Janet Green ‘72 (married name ‘Castiel’) passed away in 2018 after a brief illness. She was a person of buoyant spirit; sweet and caring; intelligent and true. She had a remarkable talent for languages and became fluent in Spanish and very capable in French during high school. Janet loved dance, and she organized (and performed) in dance, art, and music festivals at Wheatley during her senior year. She was also a founding member of the School-Within-A-School in its first year, 1971-72; one of only a dozen seniors selected by Ted Tchack and Stew Doig to be mentors and leaders in the program. OUR MOST EXCELLENT SPANISH ADVENTURE. Writes Lisa – “While working for many years as an ER Nurse in Texas, I became entrusted with the very heart wrenching responsibility of being the Medical and Financial Power-of-Attorney to my Nurse Manager. During his illness and subsequent passing, he bequeathed me the many air miles he had accumulated from his days as an International Flight Nurse. Because of those miles, our Most Excellent Adventure went from a constant chatter to a reality. I plonked down those air miles and Jennie Karp Colbert, Abbe Levine and I organized our trip for December 2017 to Madrid, Spain to meet up with Marjorie “Margie” Glantz. Margie has been living in Madrid for…Forever. She is a freelance Accent/Dialogue coach for actors and is married to an Engineer who “appreciates” her artistic side (Margie wrote that). They have raised two great guys. OK, I am a bit partial. Sue me, but you may not want to, as I have a lot of lawyers in my family… but I digress. BACKGROUND: My first home, in 1958, was in the Roslyn Country Club. Margie moved in down the street, Arbor Lane, in 1960. Abbe, joined us in the 4th Grade, while we were at the “Other” elementary school - the one to which we had to be bussed. Jennie, thankfully, came along in the 9th grade. But back to our Adventure…We travelled to Granada, then Seville, where we spent the days traipsing through the sights: The Alhambra, The Cathedral of Seville, the old Jewish ‘Barrios,’ etc. Now this could be a very long rendition of our travels, but I will only include the highlights. For example, I was the main driver; however, I have lived out West for more than 30 years, and I can no longer parallel park. While looking for parking in Albaycin, Granada, we found ourselves on an ancient narrow street. I quickly abdicated the job of trying to park a full size car to Margie. Jennie, Abbe and I stood around like highway workers, while Margie demonstrated her talent. A group decision was easily made not to move the car again until the end of our visit. We finally had to leave Granada to continue to Seville and Cordoba. It then took an entire street construction crew to assist us, as we backed out down the alleyway, onto the main street. Luckily, the local architecture was left intact. This and many other antics led to constant episodes of hysterical laughter, as we waited in lines for hours, freezing our butts off (yes, Spain in December does get cold). Jennie and Abbe kept their cool totally. Margie and I were not as calm. That is to be expected, since Abbe and Jennie are Social Workers and are trained to deal with aberrant behavior. We took lots of photos and did lots of shopping. Jennie and Abbe, both vegetarians, watched in absolute disgust (justified) as Margie and I gobbled down our carnivorous delights of Spanish Tapas. Moral of the story - Love your friends, treat them with the honor that they deserve, and don’t forget to simply tell them how much you love them. I do not know where I would be without Jennie, Abbe and Margie as my friends, confidants of bad behavior and laugh partners for life. Magic happens when you get together those that have known you since childhood. We love each other for who we were then and for who we are now.” Written by Lisa Kozupsky Pritchard; edited by Margie, Jennie and Abbe (and Art). Writes Susan – “As some of you may remember, at Wheatley I played the flute. 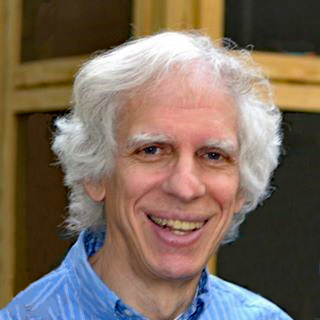 I’ve been married to Eliot Bailen, a cellist and composer, for 32 years, and we are the parents of Daniel and David, who are fraternal twins, and younger sister Julia, the members of Bailen. 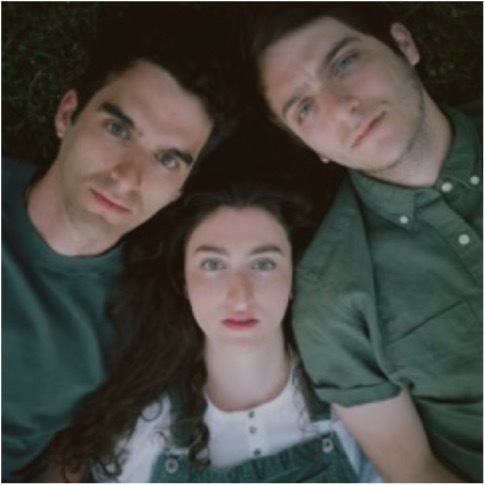 WWW.BAILENTHEBAND.COM They were raised in NYC, with music in their DNA and in their environment, which included a collection of the records of the likes of Simon & Garfunkel, Joni Mitchell, Carole King and The Band. 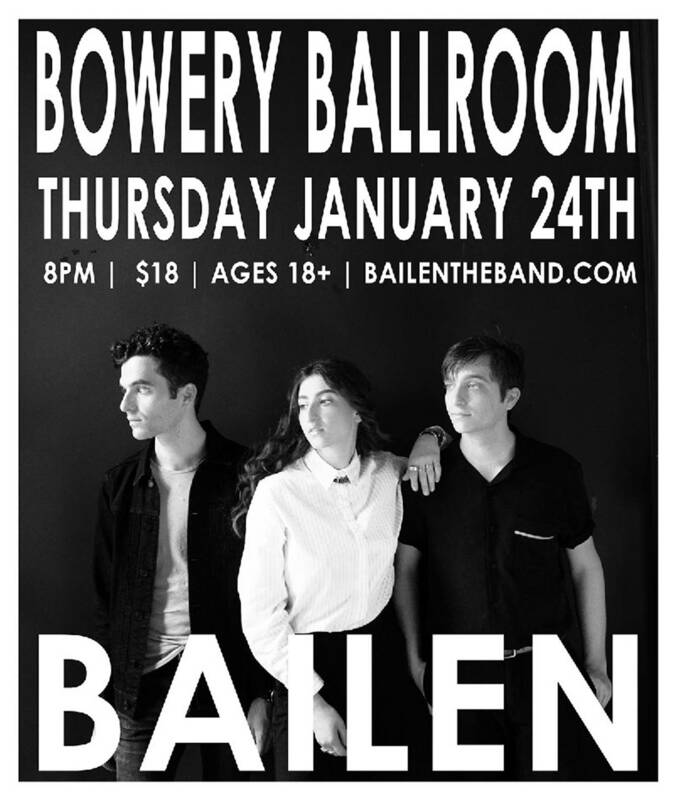 On Thursday, January 24, 2019, they will be headlining at the Bowery Ballroom!!! On sale this Friday, January 18th, at 10am local time. Staff (Antoinette Salvadori) - Dear Arthur, I don’t know how you got my email address, but I’m very glad that you did. I’ve enjoyed reading the last few Newsletters. I worked at the East Williston UFSD for 25 years. Joe Goldwasser hired me to work part-time in Audio Visual in 1976; I ended up retiring from the Business Office doing payroll. For anyone who remembers Joe G, that’s about par for the course. I was very lucky to be at The Wheatley School at a time when in my opinion the entire staff in the building was truly exceptional. Many fond memories. I look forward to your next newsletter. 1959 (Matthew Sanzone) - Art, Terrific edition, but that does not surprise me. 1960 (Miriam Golub Duhan) - I appreciate the work you do. 1960 (Paul “Bick” Keister) - I enjoy your Wheatley Newsletters. It is wonderful what you do for all Wheatley grads. 1961 (Tim Jerome) - Thank you for the work you do keeping us all informed. 1961 (Jerry Mintz) - Nice work as usual, Art! I really liked seeing more recent grads post. Where are the rest? I remember playing tennis at the Roslyn Country Club with Harold Kozupsky, Roy's father. 1962 (Richard Buzen) - Hey Art, thanks for putting out the newsletters, which are fun and entertaining. Keep up the good work. 1962 (Naomi Klotz Obie) - Please keep me on your list; I very much enjoy your posts. 1962 (Nancy Newman) - Thank you for sending the alumni newsletters. I love hearing what former classmates and schoolmates are doing, and getting updates about our long-ago teachers, too. 1962 (Richard J. Weiss) - Art, Consider this fan mail. Thank you for the newsy emails about our alma mater, and the many trips down memory lane. 1962 (Gail “Annie” Wilkinson) - Keep up the terrific time-traveling newsletters! 1964 (Ellen Solow Holzman) - I really appreciate the newsletters. 1964 (John Sullivan) - I appreciate what you do to keep all connected - many thanks, Arthur. 1964 (Wendy Wolf) - Thanks ARTHUR for your time and effort with these newsletters. I enjoy reading them. 1966 (Amy Gruskin Gerstein) - I REALLY ENJOY THESE NEWSLETTERS, EVEN IF I DON'T RECOGNIZE ALL THE NAMES. IT STILL BRINGS ME BACK TO THOSE PRICELESS YEARS AT WHEATLEY, A VERY SPECIAL TIME AND PLACE. THANK YOU! 1966 (Steve Hanft) - Thanks for all your good and hard work keeping the alumni spirit alive. Your newsletters serve as a good re-connection for me. 1966 (Adrienne Lagin) - Thank you for all the work you have done these many years keeping all of us in touch. 1967 (Arthur H. Brown) - Dear Arthur, Thank you for all your work in keeping us in touch with other alumni and Wheatley news. Keep up the good work. My brother Edward (1958) and I both like hearing about our school. 1967 (Scott Frishman) - Great job as usual, Art. Especially enjoyed the Steve Ehre article, as I had him for Social Studies. Great teacher and nice man!!! 1967 (Jill Simon Forte) - Arthur thanks again for your work in keeping us all up on Wheatley! 1968 (Joel Blumenthal) - Art, I love hearing, and also seeing, as much as possible about our former classmates! (Should we all start submitting our bar mitzvah pictures? or worse??) You're doing a great job not only creating and serving but preserving a community. Thank you! 1968 (Martha Cornfield Fea) - Art, once again I thank you for a wonderful newsletter. I love being connected!! 1968 (Andy Forstenzer) - Keep up the great work and communication you are doing. 1968 (Linda Kapinos Frysztacki) - Thanks for keeping us well-informed. 1969 (Lynn Greenbaum) - Thank you for your continued efforts to keep the alumni in touch. 1969 (Liz Siegel Mullen) - Thanks for the newsletters. Best to all. 1970 (Robert Abramowitz) - Well done, Mr. E.
1970 (Andrea Chock Carlin) - Another thank you for your continued efforts and kindness for each of us alumni. 1970 (Nina Gallerstein) – I enjoy the newsletters! 1971 (Mitch Mudick) - I always read the Wheatley updates with interest and enjoyment. Your extraordinary efforts in keeping them coming is greatly appreciated! 1972 (Michael Solow) - Thanks for all you do to keep people connected, Art. 1973 (Sally Danto) - I love receiving your emails and newsletters, and I thank you for all your efforts! 1973 (Lynne Joachim) - Thank you so much for adding me to the list, Arthur. Great to get Wheatley alumni news, and I loved the tribute to Leonore Gordon in Newsletter # 25. 1973 (Jeffrey Sinnott) - I've enjoyed the Wheatley Alumni Newsletters; thanks for all the effort! 1974 (Gregory P. Cave) - Happy New Year, Arthur, and to all other Wheatley alumni. Very nice to read the latest Newsletter on New Year's Day. If I had Wheatley to do all over again, the only thing I would do differently would be to be involved with the Drama Club. In any case, I always enjoyed my time at Wheatley and, now, the reunions. I hope there’ll be more of them in the future. Peace, Love, and Happiness to all. 1974 (Susan Chan Beaver) - Thanks for all you do for us. 1975 (Glen Lazar) - Thank you, Arthur, for all your efforts with the newsletters. I enjoy reading them so much. I also want to shout out hello and Happy New Year to Bob Brandt, who was the best teacher that I ever had, from kindergarten through law school: Mr. Brandt, you taught me how to think! Thank you! 1975 (Keith Rohman) - I appreciate getting your emails, a connection to the place I left many years ago. Thanks for the effort you put into it. 1977 (Amy Brumer) - Thank you for being in charge of all you do. It means a lot. 1979 (Paul Baldassin) - I enjoy reading your emails and thank you for putting those out there. 1979 (Ron Bookbinder) - Hi Arthur, Thanks for all you do for Wheatley Alumni. 1988 (David Mahaffey) - Newsletter # 27 truly is great. I particularly enjoyed reading the submission from my AP American History teacher, Steve Ehre. 1999 (Jeffrey Amster) - Thank you for pulling together this newsletter! 2009 (Amanda Hartman) - Thoughtful piece from Kenneth Martin on the Holocaust (Newsletter # 26). My grandmother lost almost her whole extended family in Poland to the Holocaust and barely escaped herself. The subject never seemed to be discussed much among the Jewish students at Wheatley. Also, go Barb Burri!! !, and cool vibes from the Keys (Newsletter # 27). That’s it for the Wheatley School Alumni Association Newsletter # 28. Please send me your autobiography before someone else sends me your obituary. 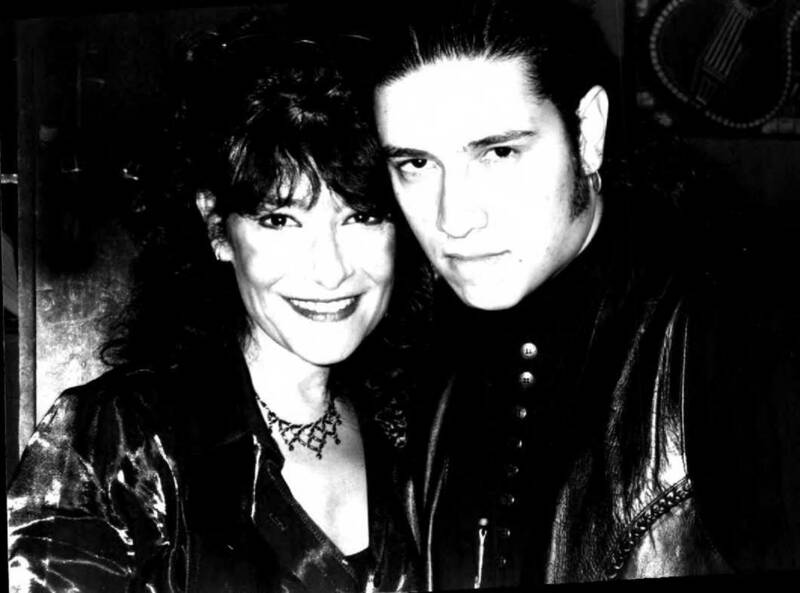 The mystery woman in Newsletter # 27, at Steve Gelberg’s bar mitzvah, has been identified as (drum roll): Shelley Hershcopf (1968)!